. :: WE ARE 350 ::. Hello everyone, I'm back again! I thought this would be a good platform to share a piece that Harriet wrote for the Racing Post young writers’ competition. Her piece didn't get into the final, so we will make the most of it! It is only natural that the history of anything or anyone is gradually lost and diluted over time. The reality is that it takes the current generation to care about the past in order to preserve the tales to be told in years to come. This year, the Jockey Club Racecourses are bringing the history of our sport into the forefront as 2016 marks the 350th anniversary year of racing in England as we know it today. The prestige of Newmarket as the headquarters of worldwide thoroughbred racing and breeding is nothing new, it has been known as the ‘home of racing’ since records began here. It was in 1666 that spring and autumn fixtures became annual events on what is now known as the ‘Rowley Mile’ racecourse. Although the fundamentals of horse racing have remained the same during these 350 years, it is incredible to take a step back and think about the modernization that has occurred. 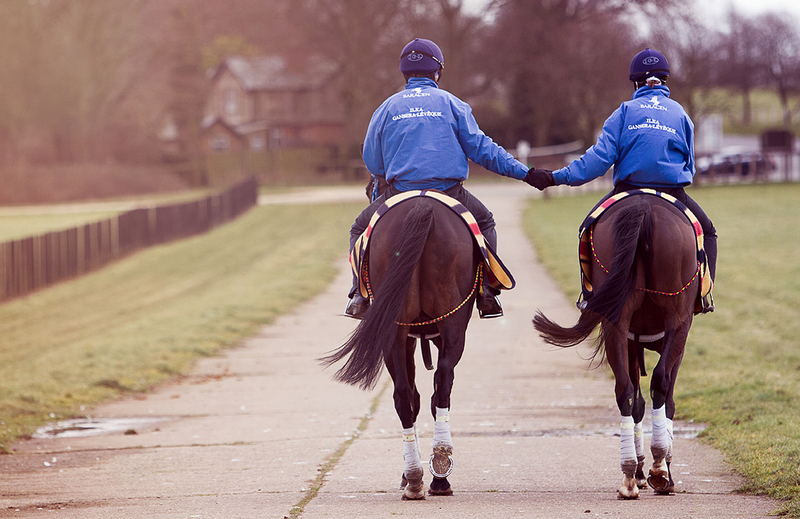 Trainers are now entering and declaring their runners down to the last minute on specialist online systems. It’s astonishing how 350 years ago before any electricity, telephones or even railways it was possible to even begin to organize a race fixture. It makes you wonder what King James I, (the founder of racing in Newmarket) would think of the many Newmarket equine residents being transported by plane to Dubai for the winter! With each dawn on the Heath people come to admire the many riders and trainers going about their diligent routines. Whether they realize it or not, each one of them, along with everyone in the town's many racing offices, still have their part to play in the advancement of the ‘Sport of Kings’. The common continuation over the centuries for those passionate about our sport is the innate feeling of excitement in the potential of what our racehorses could go on to achieve- that unnamed yearling walking past in the same hoof prints as his ancestors may have the potential to become the next Hyperion, Eclipse or Frankel. However, it is the distractions of our fast paced lives nowadays that leave us little time to think about the foundations of our headquarters and the development of racing here throughout history. I was pleased to discover recently that there are still people in Newmarket exploring and incorporating the past here into their lives and using it for future chapters of Newmarket history. Of all of the many stables in the town, you wouldn’t think that a stable that was named in 2015 would carry such a historical name linking to an almost forgotten story. It is one of the newest trainers to join the ranks of Newmarket, German born Mrs. Ilka Gansera-Leveque who decided to look into the archives before naming her new stable. ‘Saint Wendreds’ is a stable half way along the Hamilton Road, and was originally the main yard of the stable ‘Seven Springs’ before being split into two last year. Renowned trainer Bill O’Gorman built ‘Seven Springs’ in 1990 as his new base. As well as constructing his new yard, and training over 200 runners with a 25% strike rate that year, he too managed to find time to do the research into providing his new yard a purposeful name. ‘Seven Springs’ was named after the seven springs of Newmarket and Exning, thought to have existed long before people ever settled in Newmarket. What remains of the springs now lies in the woodland behind Hamilton Stables, occupied by trainer Michael Wigham. When moving into her new premises, Ilka was intent on seeking out a similarly unique, thoughtful and most importantly meaningful name for the ex ‘Seven Springs’ property. The most central of the ancient seven springs had a little more symbolism to the town than the others and was named in honour of the 7th century princess and nun ‘Saint Wendreda’. The water from Saint Wendred’s well was used by the saint for its healing properties. Legend has it that Saint Wendreda was capable of performing miracles using the holy water by using it to heal both people and animals long before Newmarket was ever synonymous with horses and racing. Over time, the importance of Saint Wendred’s well with horse racing grew, archives show that some jockeys would take their horses there before an important race, not just for a drink of water to hydrate them, but also because of its religious association to luck and healing. As a practicing vet as well as a racehorse trainer, maybe it was fate that Ilka, a little known but incredibly passionate trainer came to train in the central courtyard of stables in the ‘Seven Springs’ yard. Inspired by this, Ilka has named her stable ‘Saint Wendreds’ as an abbreviation of the name of the lady saint whose story has nearly been forgotten to time. With different trainers coming and going every season it is hard to keep up with all of the different names and faces, but with the symbolic titles of ‘Seven Springs’ and ‘Saint Wendreds’, these two stables will hopefully remain with their thoughtfully given names to carry on the legend for years to come. This year brings a new chapter to racing in Newmarket and to the town centre as a whole; 'Palace House Stables’, part of the original stables to the royal Palace House is being restored and modernized as part of a £16 million redevelopment project to become a National Heritage Centre for horse racing and sporting art. Whilst we now have a whole world of ‘virtual’ horse racing and online gambling to contend with, the pastime of a day at the races and a fascination with perfecting the thoroughbred racehorse as an athlete is something that will continue to captivate people from royalty to working class families for many more generations. When racing returns to Newmarket for the Craven meeting this April, think about how far this small town and our sport has come, let’s raise a glass for the first 350 years, and here’s to another great 350!